With allergy season right around the corner, it’s important find natural and affordable hacks to nip symptoms in the bud. 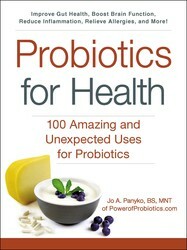 Learn more about why our bodies suffer from allergies and how to make easy changes to our diet and lifestyle in Probiotics For Health by Jo A. Panyko. Seasonal respiratory allergies can cause itchy, watery eyes, scratchy throat, and an annoying runny, stuffy nose. Often called hay fever, seasonal respiratory allergies are your body’s response to otherwise innocuous substances such as pollen, outdoor mold spores, dust, and animal dander. These substances are allergens. Some allergens are only present in large quantities in the spring and fall. Others are present through- out the year. 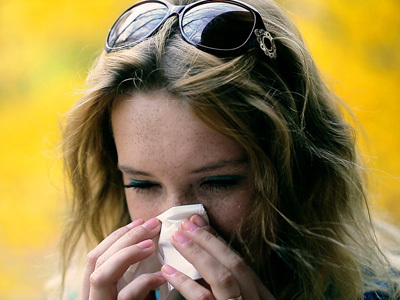 You might have allergies to different allergens that could leave you suffering year-round. The reason for your suffering is an overreaction by your body to the allergens. Your body detects these allergens and mounts a massive immune response attack against them, including the release of histamine and other chemicals in a futile attempt to protect you. Many times there is a threshold at which you can no longer tolerate your total allergen load, and that is when symptoms balloon. Aside from monitoring allergen counts and avoiding allergens as much as possible (also vacuuming frequently, reducing carpeting, washing bedding frequently, and so on), did you know that there are other treatment options besides allergy shots and antihistamines? Oral probiotics are helpful because 70−80 percent of your immune system is in your gastrointestinal tract, so ingesting various forms of probiotics can help balance your immune system from the inside out. Probiotics species in the Bifidobacterium and Lactobacillus genera as well as some Bacillus have shown efficacy in reducing seasonal allergic symptoms. Probiotics work best preventively, so take them year-round. In addition to diet and lifestyle modifications, probiotics help get to the root of the problem and calm down the response of the immune system to seasonal allergens. For additional reads on allergies, check out Achoo! 10 Books for Fighting Allergies. Discover the many ways probiotics can transform your health, beauty, and overall wellness in this informative new guide. Probiotics—good bacteria found in fermented foods and supplements—are the newest health craze, and for good reason. Recent medical studies continue to reveal how probiotics improve gut health and contribute to overall wellness. Their antimicrobial and anti-inflammatory properties can help combat chronic disease, including heart disease, certain types of cancers, and irritable bowl syndrome. They also provide all-natural relief for common ailments like allergies, flu, colds, urinary tract infections, and yeast infections. They are also effective beauty aids, and can be used for many things from fighting acne to healing dandruff.